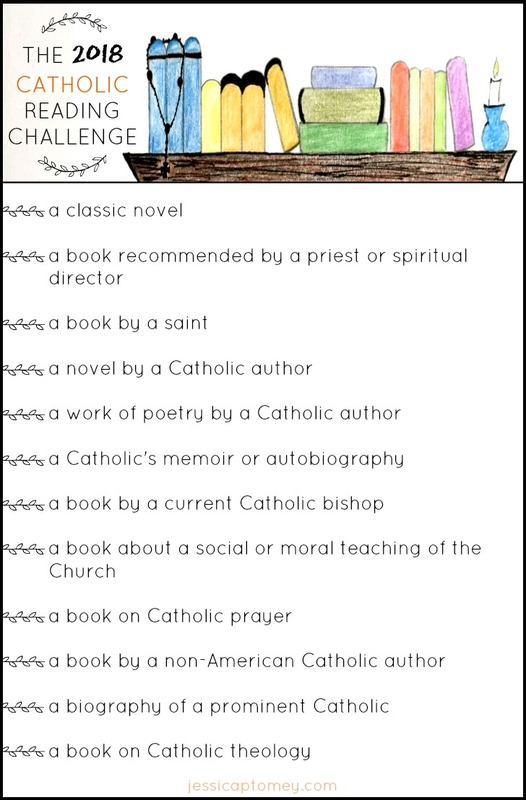 The 2018 Catholic Reading Challenge! It’s a new year, and that means it’s time for a new year of reading goals! 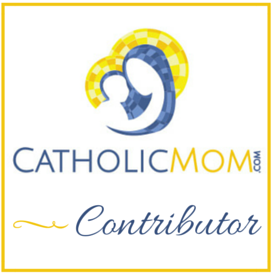 Working through The 2017 Catholic Reading Challenge this past year was really rewarding, and I found that having that list to guide me helped to broaden my reading scope and introduce a good variety of perspectives. I think it helped me be a more well-rounded reader in regard to the “voices” that are edifying and educating my faith. I can’t believe we are halfway through the year aleady! If you are like me, once you get to this point, you realize that you aren’t exactly halfway through your list of reading goals. But it’s never too late to pick up the next book and keep going with your 2017 Catholic Reading Challenge. I’ve been sharing what I’m reading for each category throughout the year. I hope you have gotten started on your picks for the 2017 Catholic Reading Challenge! As promised, I’m sharing what I am reading for each category throughout the year.